That’s just propaganda, of course, but the commentators are lined up to make it a question of whose form of government is right, or wrong, with “right” being our own model, and “wrong” being socialism: Simplistic, jingoistic, effective propaganda. An editorial in “Investor's Business Daily” asks, "Why is it that reporters keep scratching their heads about Venezuela's descent into extreme poverty and chaos?" The author is hoping you will fall for hia simplistic answers. Let’s explore that question more fully. "The cause is simple, Socialism. End it and you will end the misery." So claims the Investor's Business Daily editorial.It's a simplistic, readymade, quote, a handy talking point for propagandists, liars and political spinners. But it simply is not true. There are better, more genuine and better-informed explanations. Yet the real question implied is this: What should be done about it? This is a lie too. Venezuela was never a “rich democracy” prior to Chavez. Yes, there were some rich, very rich oligarchs, but millions of people below poverty level, very few were educated, healthcare was non-existent for the masses. The above jingo is an oversimplification if not an outright lie, but it plays well to a certain crowd. 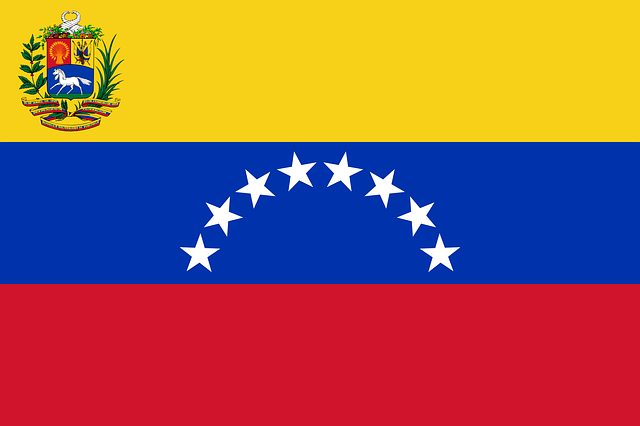 In this short paper I intend entertain the possibility that just as the U.S. engineered the fall of Venezuela just as she engineered the fall of many other Latin American nations (or at the least, played a central role in their demise). The plan to undermine Venezuela goes back a long way, but I think, whether intentional or not, Obama's oil policies may have done more than anything to precipitate the fall of Venezuela's government. And that the Saudis too, may have joined in to crush a rogue, competitor nation (a competitor in the oil markets. Venezuela is in an economic free fall. No question about that. But is a Center for Preventive Action Memorandum correct when it states that iit is “all as a result of government-led mismanagement and corruption”? No, not all is caused by that; I will come back to that. But yes, currency value is plummeting, prices are hyperinflated, and it is probably true that “gross domestic product (GDP) has fallen by over a third in the last five years.” .The nation’s economy was an oil based economy, so it would have been strange indeed if the GDP had remained constant during the collapse of oil prices. But from here the author strays even further from objective facts. No, this is dishonest: Imports likely were impossible. First, to buy imports, you must have money, and secondly, the United States has placed sanctions on Venezuela, which made it difficult to trade, and all but impossible to get paid for at least some of the moneys owed to them for oil. Then, there undoubtedly was the pressure from the right, and from creditors, to just that: to implement austerity measures. Did you ever meet a right winger who opposed austerity measures, especially austerity for the poor? This seems like an odd criticism coming from (what I assume must be) a fiscally conservative publication. Furthermore, this and many similar statements fail to demonstrate that things would have been better for the masses had it not been for Chavezism. That the masses were better served by one Capitalist strongman-government after another. But if you think the statement is true, prove it! I think you are ignoring history! There is no question that Venezuela’s in trouble, or that the collapse of the oil market is driving the crisis. Or that people are fleeing the poverty that has ensued in the wake of the oil crisis, and also in the wake of U.S. sanctions that make it difficult, not only for Venezuelans to purchase goods or to do trade with other nations, but also to collect debts that are owed to them. Was the oil glut a calculated risk? I remember several years ago reading that the Saudis had taken a calculated risk that they could afford to take sustained losses in the oil market in order to force competitors to toe the line and limit production in order to keep prices up. And Obama's energy policy, at least as I remember it, was all about oil, fracking, offshore drilling, all of which along with new, cleaner energy markets may have contributed to the glut of oil. Added to that, the U.S. has placed severe sanctions on the struggling state. One has to wonder whether the U.S./Saudi alliance planned to kill two birds with one stone: One, to harm Russia's economy, since Russia was/is a major oil producer. And two, to push Venezuela to the brink of collapse in order to bring about regime change. Many pieces of the puzzle are telling a different story than the one being promoted by the “me too” American media. I believe U.S. and other business interests have been very angry about Venezuela nationalizing their oil resources, just as they were angry with Chile when they nationalized copper. It could not a have been a coincidence that the U.S. employed the CIA to support the overthrow of their (also democratically elected) government. This thing with Venezuela is starting to have a familiar ring to it. Now those seeking harm of the Madero administration are calling the nationally elected government of Venezuela a “dictatorship.” But is this really true? Even the CIA admits the president was elected by what I would have to call a landslide. From my CIA notes: Nicolas MADURO Moros (was) re-elected president; percent of vote - Nicolas MADURO Moros (PSUV) 68 percent, Henri FALCON (AP) 21 percent, Javier BERTUCCI 11 percent. When oil prices collapsed and the government fell into financial difficulties, a lot of bad things started happening at once. If reports are to be believed, and I think they are. There was a brain drain, hunger, refugees fleeing and and protesters became more of a problem for the government. So Maduro did what all governments do under similar circumstances: He cracked down on dissidents. The USA does this too. Even in California, I remember when Ronald Reagan declared a state of emergency and was deploying tear gas on protesters. In Oakland, California, it was like a police state. But that was all over a “People’s Park,” a dispute over downtown property! Nothing like the emergency they have experienced in Venezuela. I am not in a position to decide what Maduro should have done, or how he might have handled things differently without abandoning the nation’s commitment to the masses. Socialism as the cause of collapse -- It’s a false explanation. Many socialist nations have survived and even thrived. Even modern Israel began more or less as a socialist state. Many have written on this so I will not labor the point. Economic mismanagement -- A term the oligarchs use, meaning: “They don’t have a 100 percent capitalistic society.” Meaning, also that certain oligarchs want to grab the oil while it’s at rock bottom. Socialism: “End socialism and you will end the misery.” Another blatantly false claim. The nation nationalized oil because of the misery they had endured under other forms of government. Venezuela has had a long history of economic woes, which may explain why the people decided to vote for a socialist government, but I don't believe the masses never enjoyed the benefit of oil wealth under the old oligarchs and dictators. Hugo Rafael Chávez Frías was was President of Venezuela from 1999 to 2013, and there was no previous golden age for the masses of people in Venezuela. “Economic mismanagement” -- True meaning as used by the opposition: “Socialism, not capitalism.” Anything a socialist government would do is considered mismanagement to Capitalistic critics. “Cutting imports” -- Maduro is criticized for cutting imports, implying that this was an instance of mismanagement. Not entirely true either. Imports have been hurt by U.S. Sanctions and other measures taken by U.S., presumably to punish Venezuela for nationalizing oil. But there is the other aspect, that allowing cheap imports could undermine domestic producers. The USA takes this approach too from time to time. Recall Trump’s trade barriers against China? But he is not the only American President to encourage this. “Over-dependence on oil” -- Often used to imply that Venezuela had not been depended on oil before socialism came in. It’s simply not true. The supposed "rich" nation was rich because of oil. and those possessing the riches were a small elite, not the everyday citizens. “Inflation” -- The claim that it is caused by socialism and that capitalism never has this problem is not necessarily true, and it was not true in Venezuela prior to Chavez. By the mid-1990s, Venezuela under President Rafael Caldera also saw annual inflation rates of 50–60% from 1993 to 1997 with an exceptional peak in 1996 at 100 percent. Many economists will tell you that inflation is caused by scarcity, and American government has put sanctions on Venezuela that makes it difficult for them to trade with the outside world, causing scarcity that fuels inflation. Added to that scarcity, the collapse of oil prices has caused suffering, as it would have done under any form of government basically under siege by the USA. Fear and uncertainty also can spark inflation. There are many more examples, more coming daily, of the abuse of language and disingenuous if not “false” facts. Well, I have written enough to get myself into trouble now, but I am tired and do want to enjoy my retirement. If there are enough requests, I may finish this article tomorrow or the next day.